This framework shows what our district stands for. Preparing our students for success measured by 100% of them graduating from White Swan High School is at the center of our work. 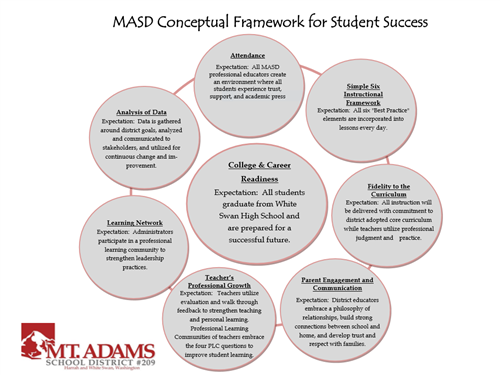 All other framework elements provide us with a path to get our students there. This framework is cyclical in nature.